Solace Black Banana Dragonberry Nic Salt is the latest nic salt by Solace Vapor. A delicious blend of fresh banana, dragon fruit, and juicy strawberries create a tropical dream that you'll want to keep vaping all day, especially when you experience how smooth Solace Vapor's nic salt formula can be. 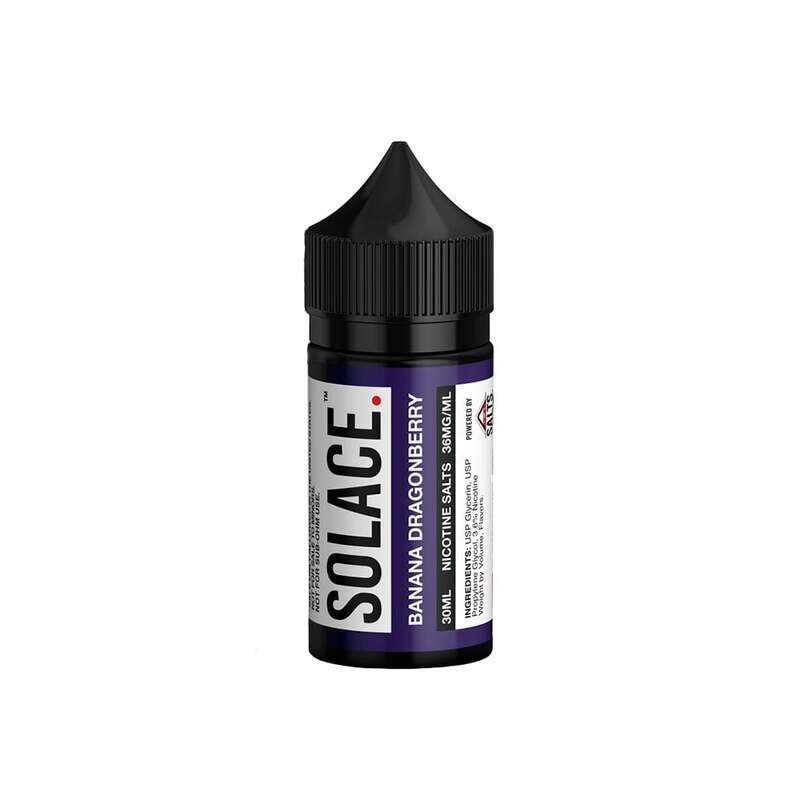 Solace Black Banana Dragonberry Nic Salt by Solace Vapor is available in 45mg (4.5% nicotine) and 25mg (2.5% nicotine). Love the juice it’s kinda hard on the coils a little but the taste is amazing, I really got a taste of banana, it’s not too sweet for me but it’s a great all day vape! Really adored flavor by all of the people I let hit it in public, the hit strength is pretty good and it had a nice smell and taste.